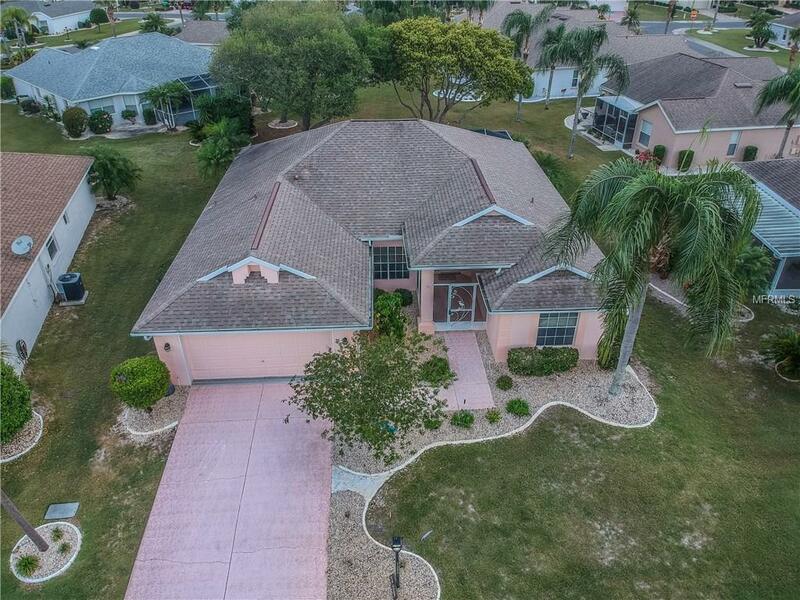 Beautiful Move in Ready! 2 Bedroom, 2 Bathroom, Den and 2 Car Garage Home! Screened entry welcomes you into the foyer. Vaulted Ceilings, an Open Floor Plan, Split Bedrooms and Formal Dining make this home spacious and comfortable. Huge Screened in Lanai you can access through the living Room and Kitchen with a garden type view. Kitchen Features all Appliances and Pendant light over the sink, Beautiful Laminate Counter Tops, Island, Breakfast Bar and Dining Area. The Master Bedroom features enough room for a King Size Bed plus accompanying furniture, His and Hers Walk In Closets and En-Suite Bath. Bath features Double sinks, closet commode, garden tub and Walk In Shower. Second Bedroom with laminate floors is cozy and Bright. Den with Double Doors and Laminate Floors. Sun City Center is the ultimate retirement community, with clubhouses, pools, activities, and 200 clubs to join. It is like Summer Camp for 55 and better. Love to Golf? This is the place for you. There is always something to do. Close to I75. Enjoy all that the Tampa Bay area has to offer. Sporting events. Cultural activities. Disney & Busch Gardens. Beaches. Call for your Private Showing!